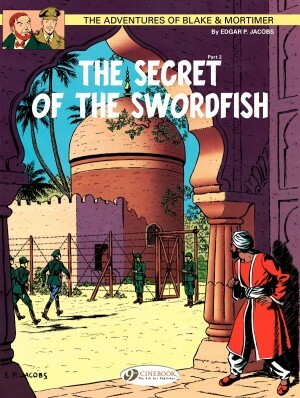 Part three of The Secret of the Swordfish, ‘SX1 Strikes Back’ concludes the first serial of The Adventures of Blake & Mortimer, published weekly in Tintin magazine over a couple of years. It is 1948. The advanced atomic weapons of Basam Damdu, Emperor of Tibet have devastated the capital cities of the world. Professor Philip Mortimer, however, has designed a revolutionary new aircraft – the Swordfish – that could defeat The Yellow Empire and win World War III for Britain, and off the coast of Oman, a fleet of Swordfish are being constructed in a secret base. Edgar P. Jacobs’ two heroes Captain Francis Blake, the head of MI5 and Professor Philip Mortimer, top nuclear scientist and engineer, find themselves under enormous pressure. They’re trying to protect their underground fortress from being destroyed on the inside by an infiltrator and on the outside by the Imperial forces slowly closing in, directed by the villainous collaborator Colonel Olrik. The escalation of threats and dramatic complications works really well in this last part of the serial, with some great ideas and some surprises thrown in to impede the inevitable ending that make for a proper page-turner. Jacobs’ authoritative drawings of the base, the futuristic technology and the dramatic locations look and feel completely convincing. The only unsuccessful element is his tendency to overwrite, adding completely unnecessary descriptive captions to panels, and giving long expository info-dumping speeches to his characters that aren’t needed either. After the very long build-up, events are resolved with great speed in the last couple of pages, which flattens the ending. 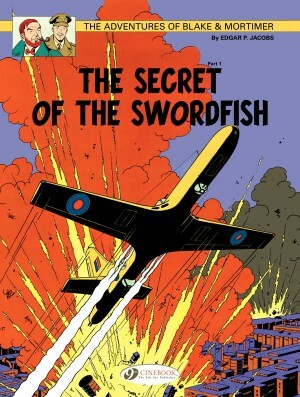 These comics were written for a young audience, which might excuse some of the woodenness, but then again, so were Hergé’s. 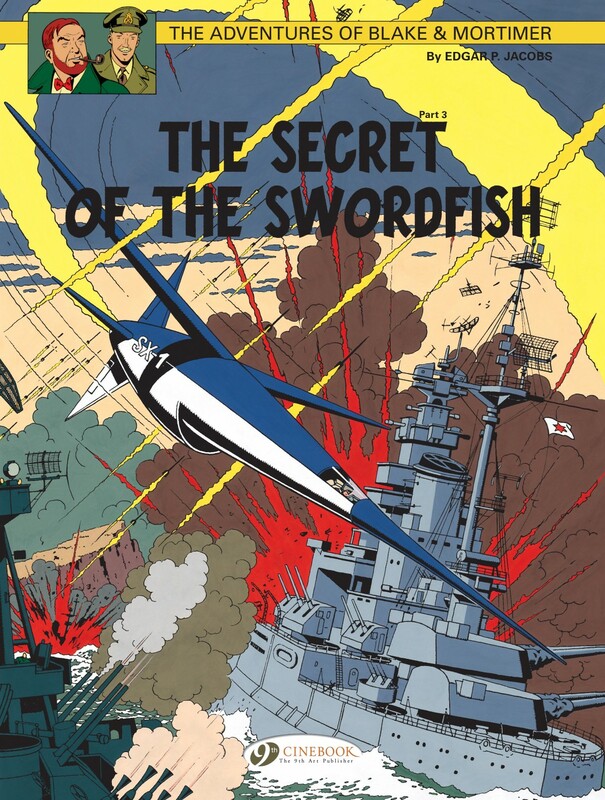 The Secret of the Swordfish would be a much better read if it were complete in one volume. 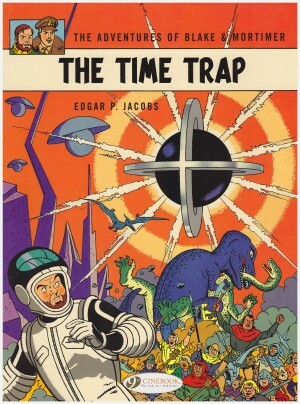 It’s enjoyable despite the flaws, and the uniquely fevered intensity of its storytelling makes it worth reading for fans of classic adventure stories. 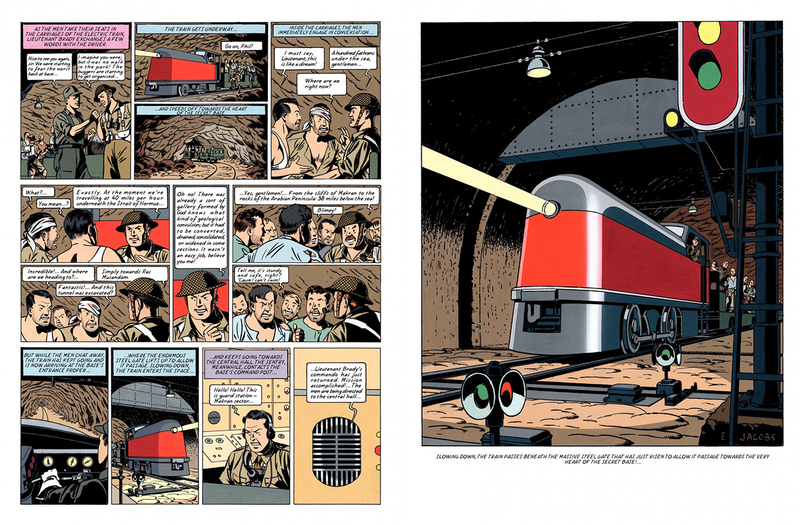 Jacobs’ next Blake and Mortimer adventure is The Mystery of the Great Pyramid.